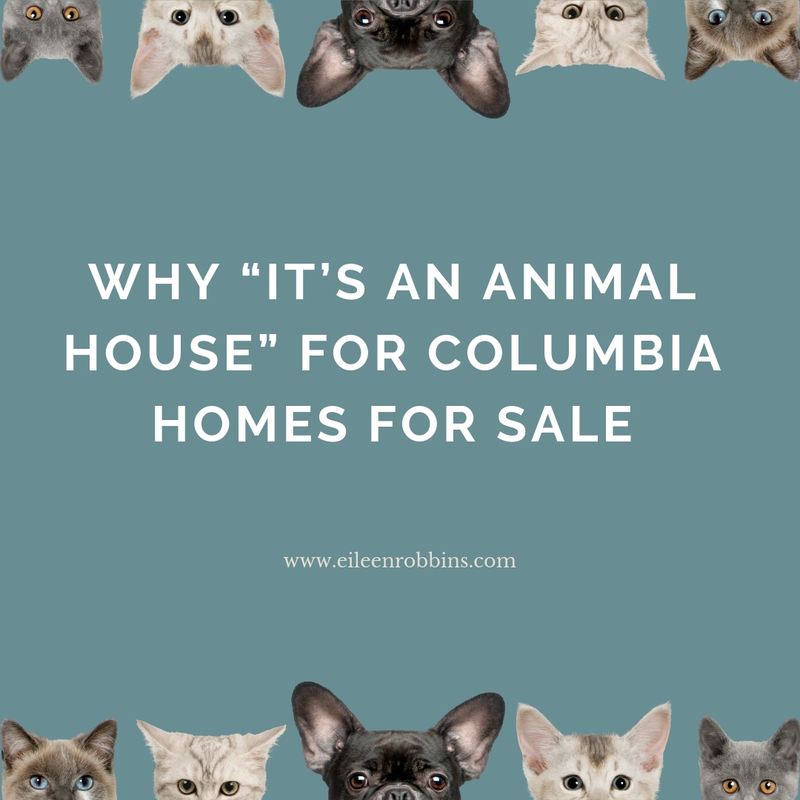 When it comes to features that differentiate some Columbia homes for sale from other similar offerings, one that’s increasingly noteworthy out is pet-friendliness. Suitability for pets used to be thought of as a strictly second-tier consideration—but that day has passed. It may not rule the roost—but evidence is mounting that its importance is on the rise. Owners planning to put up their own Columbia homes for sale may be able to take advantage of this widening phenomenon. Especially if they are pet owners themselves, an emphasis on their property’s proven pet-welcoming features like a “fully fenced yard” or “invisible fencing” can be a magnet for pet owners. In bygone eras, doors once thought to have been compromised by cat portals are now often highlighted. More than a few carefully staged and superbly lit listing photos show tell-tale signs of pet inhabitants. You can see Tabitha or Ruff’s pet bed right there next to the roaring fireplace (and sometimes the star him- or herself can be seen snoozing therein). That shouldn’t be too surprising to anyone who watches TV—where it seems like nearly half the commercials feature dogs or cats—even when there’s no logical connection with the product. Different features matter more to some buyers than to others—but the pet element is definitely on the rise. Highlighting the appeal factors that are most important to each individual prospect is part of how I work to ensure that “SOLD” signs swiftly grace my clients’ Columbia homes for sale. Call me!